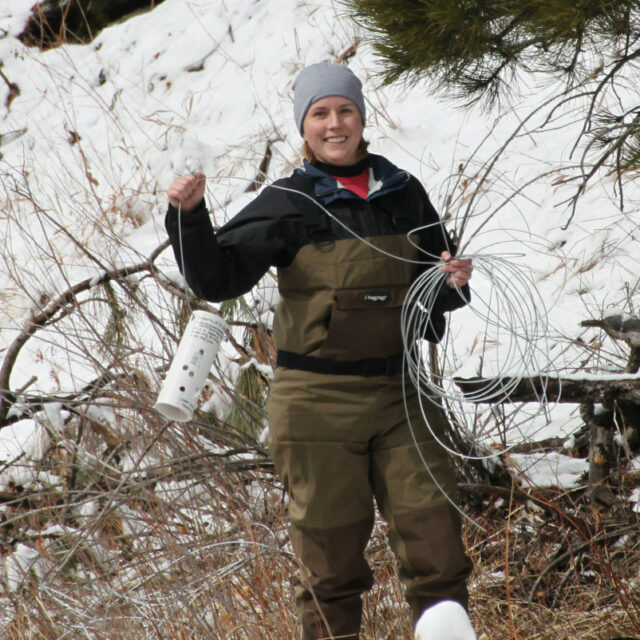 I am a graduate student pursuing a MS in environmental science at South Dakota School of Mines and Technology, and am working with Dr. Lisa Kunza. My focus is on the nuisance diatom Didymosphenia geminata, which has recently been producing abundant extracellular stalk material, creating thick, benthic mats that can cover an entire stream bed up to several centimeters thick. My research will be focused on understanding the influence these mats have on ecosystem functions like nutrient cycling.